EHR implementation is a comprehensive set of strategies and techniques meant ­to ensure the seamless transition from a paper-based environment to a more reliable electronic health record system. Healthcare organizations often neglect the importance of EHR implementation strategy and staff training which ends up working against them for many reasons. The format and content of an EHR implementation plan and training can vary from one healthcare organization to another, but here we will discuss the five practical staff training techniques that are helpful for any healthcare organization in the process of transitioning to a new EHR. EHR training is an ongoing process that extends beyond the initial EHR implementation phase. It would be fair to assume that EHR vendors are continually updating their products. This makes it essential to have an effective and ongoing training strategy and system in place to help your staff make use of the regularly updated features. Also, by enforcing a timeline and allotting milestones throughout, you’ll achieve better results from your staff. For example, require that patient care coordinators be able to add a new patient in the system by week two. It is essential to get a sense of the starting skill level of your staff before you start to design a training plan for them. Knowing their starting point will help you avoid wasting time, and it’ll also allow you to offer the most relevant information to your training audience. For instance, if your practice is transitioning from a paper-based environment to a computer-based EHR system, then you might need to include some computer basics in the training plan for your staff. 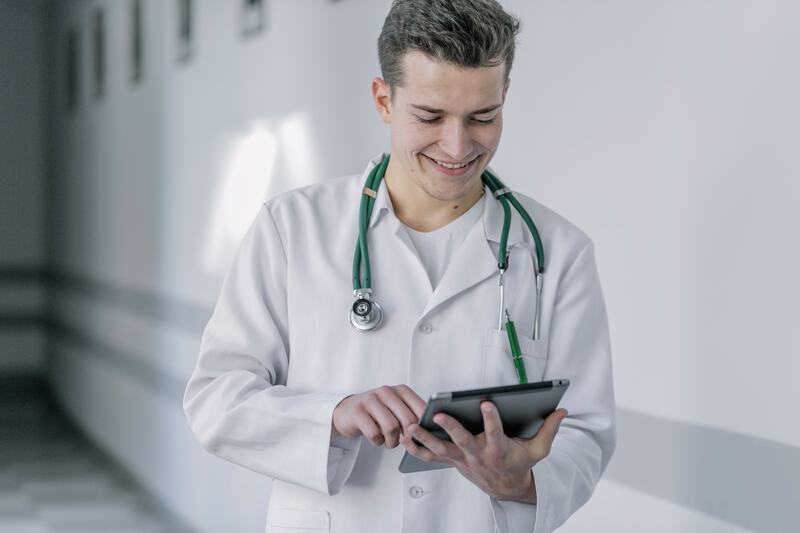 Of course the success of that would be largely dependent on how tech-savvy your staff is, however it would be reasonable to assume most individuals are capable of becoming fluent EHR users if they are given some time to develop their skills. It would be best if the training team is representative of your whole practice, so including administration, clinical, and other stakeholders would be a good idea so they can provide insights regarding training needs and effective methods to achieve the collective staff training goal. We would also recommend that you designate an individual within each department to be a super-user. This individual should have a solid understanding of technology. That, along with further training, and assign him or her to be the department’s point person so the team has someone in their department to reach out to whenever there is something they need. Engage your audience in real-time to make the training sessions more impactful. Provide every staff member a computer, access to the EHR system, and a reference page to view so they can input data and use commands during the training session which will make it a more memorable and hands-on, visual learning experience. Your EHR vendor will likely provide tutorial videos and other educational material that you can use to train your staff. Make use of whatever online resources – like downloadable instructions or videos – they likely have available as well. And, last but not least, most online platforms have chat boxes or contact us links on their websites where you can ask a specific question regarding a particular feature. The implementation of new EHR software comes with a lot of hassles and challenges but employing a targeted EHR implementation strategy and staff training approach will help you to reduce common mistakes and errors that most healthcare organizations experience. The guidelines we’ve offered here should help you to train your staff in a shorter amount of time so they can use the technology more efficiently.